After celebrating the promise of spring with Imbolc, the winter has now passed. 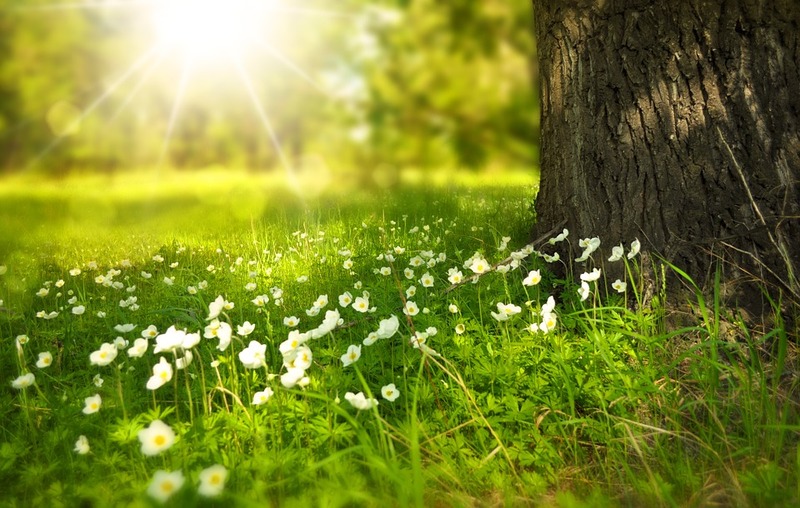 It is now time to celebrate the first day of spring, Ostara. Ostara is the first day of spring. It is also known as the spring equinox for the Northern Hemisphere. Ostara marks the time where the sun passes over the celestial equator and night and day are equal lengths. Ostara is one of the eight sabbats of the wheel of the year. It is celebrated around the 20th or 21st March. Ostara is also known as Lady Day, Rites of Spring and the Festival of Trees. It is a fertility festival which celebrates the birth of spring and the earth reawakening with life. Ostara is named after the goddess of spring, Eostre. She is a Pagan goddess of springtime and flowers. The tradition of the Easter Bunny relates back to a legend about Ostara. Eostre is said to have found an injured bird who was dying. She cradled him and looked after him and made him her pet. He could no longer fly as his wings were damaged so she turned him into a rabbit or hare. She gave him the ability to run very fast and to lay eggs in every colour of the rainbow, but only one day a year. After angering the goddess she flung him into the sky where he became the consolation Lepus (the hare). Every year at Ostara he will return to earth to give away his eggs to children. At Ostara the goddess leaves her winters sleep. She blesses the world with fertility. The Sun God marries the Goddess in her maiden state, in nine months she will become the Great Mother. She is the goddess of spring, dawn and new beginnings. She represents earths renewal and springs life force. Eggs, rabbits and the full moon are sacred to her. The name Ostara is the root of the word Easter. It is debated how far back the Pagans celebrate Ostara, and whether they celebrated the festival at all. Whilst Eostre is closely associate with Ostara, there are few sources relating to her being celebrated by Pagans in the past. 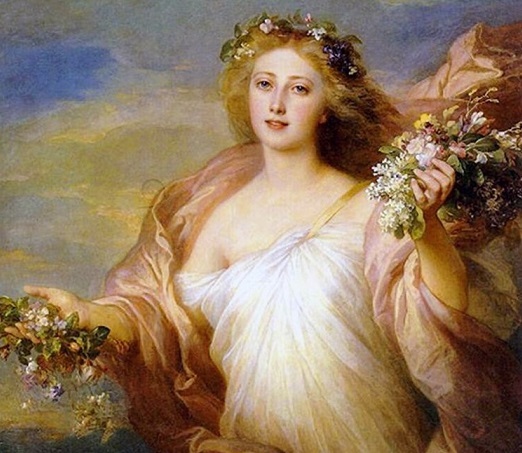 There is a history of Ostara being celebrated in some way by Roman and Germanic cultures, but little for how Pagans celebrated it. Pagans who have celebrated Ostara commemorated it with rituals of fertility, nature and new growth. Whilst the history of Ostara is disputed, it can still be an important sabbat and time of celebration for the modern Pagan or Wiccan and a time to celebrate the first day of Spring and to give thanks to the God and Goddess. Dress in new clothes, either make your own or refresh your wardrobe by buying some new pieces. Green is a symbolic colour to dress in for Ostara. Make a miniature greenhouse, or plant seeds to grow plants for the coming seasons. Take a walk and admire the coming of Spring. Spend time looking at what new plants are growing and enjoying the spring flowers. Cook some traditional Ostara food. See below for recipe ideas. There are many symbols of Ostara you will be familiar with such as the four leaf clover for good luck, hares, eggs to celebrate fertility and new life, feathers and hot cross buns. 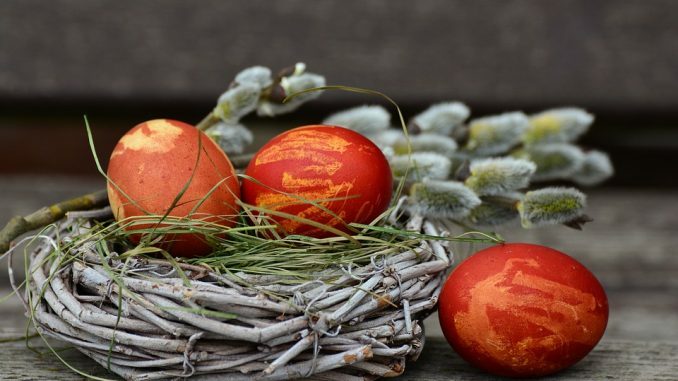 The seasonal colours of Ostara are white for purity, yellow to represent the sun and red to represent dynamic growth. Spring flowers and trees of alder and ash and symbolic of the season. Ostara is a time of year to think about rituals which focus on renewal. Other spells you can focus on are those which encourage fertility, spells for love or career or for manifesting goals for your future. Ostara is also a good time for meditation. If you have an altar you may want to use Ostara as a time to change it. 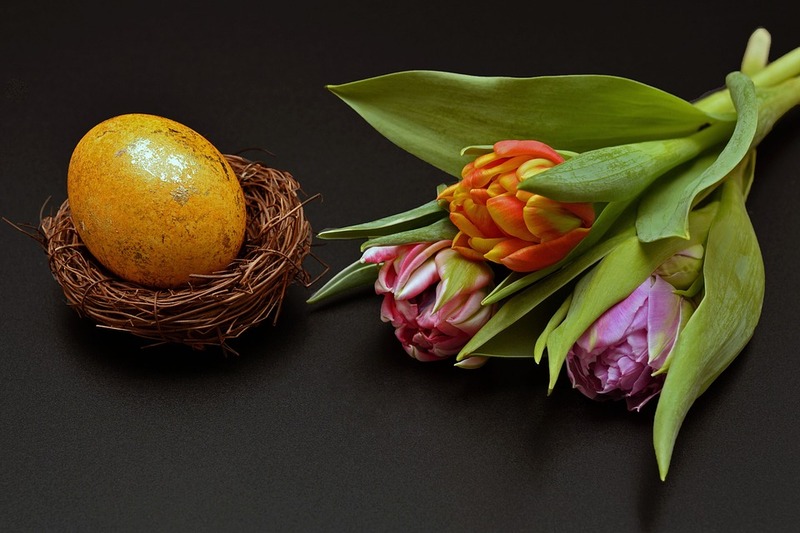 Decorate your altar with coloured eggs, seeds, feathers and spring flowers. Use colours of green, yellow and purple. Use gemstones and crystals such as rose quartz, moonstone and aquamarine. Burn jasmine or rose incense. Seasonal ingredients for Ostara are eggs, milk, lemon, bread, leafy green vegetables, nuts, seeds and eggs. Traditional drinks include milk, eggnog, dandelion tea and wine. Devilled eggs- Devilled refers to making the eggs spicy, not for a connotation with the devil. Hot cross buns- They traditionally mark the union of the earth and the sun, crossed with an ‘x’ to bless the cakes. The four quarters the cross makes, represents the four seasons of the year. Ostara Bread- Make a bread in seasonal flavours such as lemon and poppy seed. Ostara Cake- Bake a cake in a lemon or honey flavour and decorate with seasonal flowers. I hope you enjoy celebrating Ostara and welcoming the first day of spring!